Sometimes, the simplest of meals end up being the most colourful and tasty and they can be put together in a few minutes. 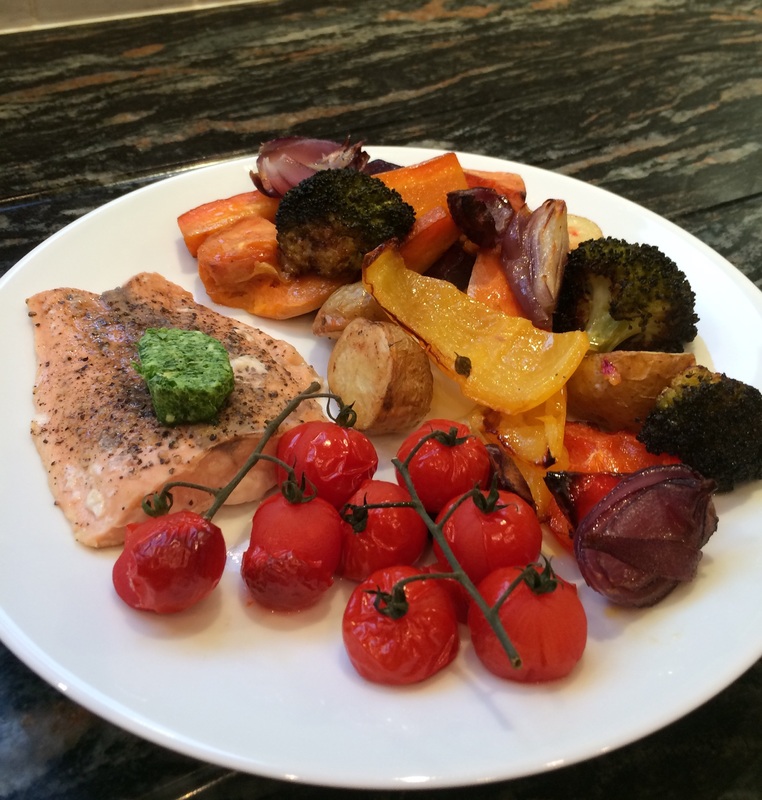 One of our favourite dinners is roasted vegetables served with either a piece of salmon or a chicken breast. We have such a wonderful all-year round assortment of vegetables now that we have come a long way from the meat and two veg of years ago. I usually choose to use sweet potato peeled, beetroot unpeeled, carrots, red, yellow or green peppers, red or white onions, leeks, baby potatoes and broccoli florets, or whatever I have in the vegetable basket. Sometimes I add fennel and parsnips. Quarter the beetroot and onions. Cut the carrots and baby potatoes in half and the sweet potato into chunks. Toss in a small amount of olive oil and scatter on baking trays in a single layer. Roast for approximately 45 minutes at 180° turning half way through. Add some vine tomatoes for the final 15 minutes. 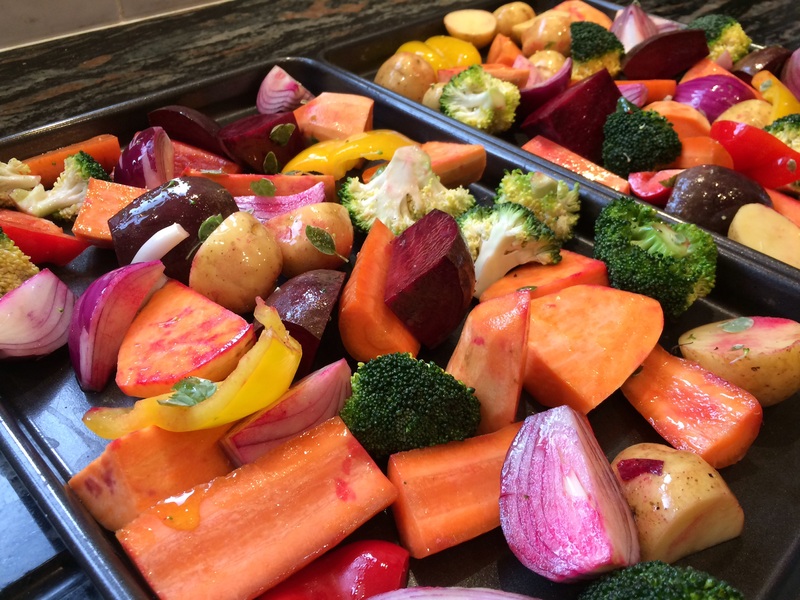 These roasted vegetables are served with a salmon fillet (squeeze of lemon juice and freshly ground black pepper) wrapped in foil and popped in the oven for the final 20 minutes. Loads of fresh parsley blended with a knob of butter adds the finishing touch. Alternatively, serve with grilled chicken breast and a honey mustard dressing (heaped teaspoon whole grain mustard mixed with a couple of tablespoons raw honey). The vegetables also taste good with the addition of fresh or dried herbs for a change. This entry was posted in Dinner, Vegetables and tagged Dinner, Healthy Eating, Recipes, Roasting, Vegetables. Bookmark the permalink.